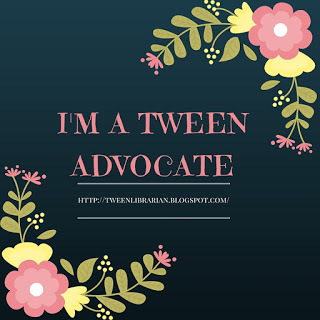 Tween Tuesday is a weekly feature where I blog about some of my favorite tween reads! The Penderwicks is a modern story that has the feel of a classic. Read this one if you want to escape back into your childhood favorites-it reminded me of Little Women and Anne of Green Gables. It's perfectly sweet and lots of fun. There's a sequel out now, and the author is planning on writing five Penderwicks books altogether, so there adventures are far from over! Meg Cabot continues to impress me. I've read many of teen books, and a couple of her adult titles, and now she's won me over in the tween area as well! This one was on my children's lit list, and I knew I had to give it a read. Allie Finkle is a modern-day Ramona Quimby. She keeps a notebook of all the rules she learns-some serious, some silly, but all important to Allie. Her voice is pitch perfect to tween girls and I think many tweens will enjoy growing up with Allie by their side. I listened to this one on CD when I first started working in the library three years ago and it's still one that find myself recommending and booktalking to tweens. It's a fun twist on fairy tales and readers who are enjoying The Sisters Grimm series should pick this one up as well. Hunky Dory goes to school for magic-to be a wicked witch actually, but she's really interested in the magic of fairy godmother's, which is looked down upon by the other witches. Many fairy tale characters make appearances or are mentioned, so keep your eyes (or ears) peeled for cameos! This one is full of humor and I found myself laughing out loud while reading it. Be sure to pick this one up if you're a fan of fairy tales and magic. Full Disclosure: All books reviewed were recieved from the library. I was starting to run out of book suggestions for my 12-year-old twins. Your blog is a lifesaver! The Allie and Penderwicks series are two of my FAVORITES for girls of the last few years. I LOVE the Penderwicks and if I had a daughter I am sure she'd be somewhat like Allie! Good choices! I love The Penderwicks! Just the sort of thing I read (or had read to me) as a child and then tried their adventures on for size. Great fun. I haven't heard of the Penderwicks, and I love Little Women and Anne of Green Gables. I've added it to my list. I must come once again and just tell you how much I love this feature. It's one of my favorites. Yes other bloggers can particpate-I would love that!!! :) I'm always looking for great tween reads and it'd be fun to see what everyone else is reading. Cool feature! I don't read a lot of middle reader books, but I do sometimes. I'll be sure to link up next time I review a Tween book.